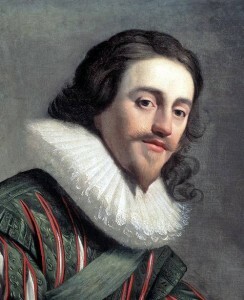 Charles became King Charles I in the twenty-fifth year of his age. Unlike his father, he was usually amiable in his private character, and grave and dignified in his bearing; but, like his father, he had monstrously exaggerated notions of the rights of a king, and was not to be trusted. First of all he sent Buckingham to France, to bring his bride, Henrietta Maria to England. The English received their new Queen with great favour. But she, being a Catholic, hated the Protestant religion, and brought Catholic priests with her. Hence, the people soon came to dislike her, and she soon came to dislike them. In fact, Henrietta Maria did much in setting the King against his subjects. King Charles the First wanted to be a high and mighty King, and not to be called to account by anybody. His Queen also wanted him to put his Parliament down and to put himself up. That idea was enough to ruin any king. He was bent upon war with Spain, though neither the House of Commons nor the people were quite clear as to the justice of that war. But the King rushed into it hotly, raised money by illegal means to meet its expenses, and encountered a miserable failure at Cadiz, in the very first year of his reign. An expedition to Cadiz had been made in the hope of plunder, but as it was not successful, it was necessary to get money from the Parliament. When they met, the King told them “to make haste to let him have it, or it would be the worse for themselves”. These words caused great indignation, and the members of the Parliament impeached the King’s favourite, the Duke of Buckingham, as the cause of many great public wrongs. The King, to save his friend, dissolved the Parliament without getting the money he wanted. Then he began to raise money himself. He levied certain duties called tonnage and poundage which had not been granted by the Parliament. He called upon the seaport towns to furnish armed ships. He required the people to lend him large sums of money, the repayment of which was very doubtful. Those who refused to do so were punished. Five gentlemen, named Sir Thomas Darnel, John Corbet, Walter Earl, John Heveningham, and Everard Hampden, were sent to prison for refusing to lend money. All that was a violation of Magna Charta, and there was a fatal division between the King and the people. It became necessary to call another Parliament. The people felt the danger in which their liberties were, chose for it those who were best known for their determined opposition to the King. But still the King addressed the new Parliament in a contemptuous manner, and just told them that he had only called them together because he wanted money. The Parliament ignored his words, and laid before him one of the great documents of history, which is called The Petition of Right. It was said in the document that the free men of England should no longer lend the King money, and should no longer be pressed or imprisoned for refusing to do so; further, that the free men of England should no longer be seized by the King’s special mandate or warrant, it being contrary to their rights and liberties and the laws of their country. The King was greatly alarmed, and had to give his consent to all that was required of him. Unfortunately, afterwards he departed from his word on these points. By this time England had been involved in war with France, as well as with Spain. Buckingham did much to start it. But he was destined to do little more mischief in this world. One morning, as he was going out of his house to his carriage, he was violently stabbed with a knife, which the murderer left sticking in his heart. He was stabbed by John Felton, a Protestant and a retired officer in the army. He said he had killed the Duke as a curse to the country. He had aimed his blow well, for Buckingham had only had time to cry out, “Villain!” and then he drew out the knife, and died. A little sooner John Felton was simply executed for the murder he had done. A murder it undoubtedly was, and not in the least to be defended: though he had freed England from a base court favourite. A very different man now arose. This was Sir Thomas Wentworth, a Yorkshire gentleman, who had sat in Parliament for a long time, and who had favoured arbitrary and haughty principles, but who had gone over to the people’s side on receiving offence from Buckingham. The King, much wanting such a man — for, besides being naturally favourable to the King’s cause, he had great abilities — made him first a Baron, and then a Viscount, and gave him high employment, and won him most completely. A Parliament, however, was still in existence, and was not to be won. On the twentieth of January, 1629, Sir John Eliot, a great man who had been active in The Petition of Right, brought forward other strong resolutions against the King’s chief instruments, and called upon the Speaker to put them to the vote. To this the Speaker answered, “he was commanded otherwise by the King,” and got up to leave the chair — which according to the rules of the House of Commons would have obliged it to adjourn without doing anything more — when two members, named Mr. Hollis and Mr. Valentine, held him down. A scene of great confusion arose among the members; and while many swords were drawn and flashing about, the King, who was kept informed of all that was going on, told the captain of his guard to go down to the House and force the doors. The resolutions were by that time, however, voted, and the House adjourned. Sir John Eliot and those two members who had held the Speaker down, were quickly summoned before the council. As they claimed it to be their privilege not to answer out of Parliament for anything they had said in it, they were committed to the Tower. The King then went down and dissolved the Parliament, having called these gentlemen “Vipers”. For twelve long years, steadily pursuing his design of setting himself up and putting the people down, the King called no Parliament. For twelve years King Charles the First reigned in England unlawfully and despotically, seized upon his subjects’ goods and money at his pleasure, and punished according to his will all who ventured to oppose him. William Laud, Archbishop of Canterbury, was the King’s right-hand man in the religious part of the putting down of the people’s liberties. Laud was a man of large learning but small sense. He was a Protestant, but he held opinions so near those of the Catholics, that the Pope wanted to make him a Cardinal, if he would have accepted that favour. He thought vows, robes, lighted candles, images and so on to be very important in religious ceremonies. He also regarded archbishops and bishops as a sort of miraculous persons. All that could not please the English. In the money part of the putting down of the people’s liberties, the King was equally alarming. He levied those duties of tonnage and poundage, and increased them as he thought fit. He granted monopolies to companies of merchants on their paying him for them, notwithstanding the great complaints that had, for years and years, been made on the subject of monopolies. He revived the detested Forest laws. Above all, he determined to have what was called Ship Money for the support of the fleet. King’s lawyers said it was impossible that Ship Money could be wrong, because the King could do no wrong. Seven of the judges said that was quite true, and Mr. Hampden was bound to pay; five of the judges said that was quite false, and Mr. Hampden was not bound to pay. So, the King triumphed (as he thought), by making Hampden the most popular man in England. But the matters in the country were getting to that height now, that many honest Englishmen had to sail away across the seas to found a colony in Massachusetts Bay in America. It is said that Hampden himself and his relation Oliver Cromwell were going with a company of such voyagers, and were actually on board ship, when they were stopped by a proclamation, prohibiting sea captains to carry out such passengers without the royal license. But it would have been well for the King if he had let them go! This was the state of England. Laud did great mischief in Scotland. In his attempts to force his own ideas of bishops, and his own religious forms and ceremonies upon the Scotch, he rouse that nation to a perfect frenzy. They formed a solemn league, which they called The Covenant, for the preservation of their own religious forms; they rose in arms throughout the whole country; they summoned all their men to prayers and sermons twice a day by beat of drum; they sang psalms, in which they compared their enemies to the evil spirits; and they solemnly vowed to smite them with the sword. The Earl of Strafford and Laud were for conquering the Scottish people by force of arms. Other lords who were taken into council, recommended that a Parliament should at last be called, and the King had to do that. So, on the thirteenth of April, 1640, the Parliament met. It is called the Short Parliament, for it lasted a very little while. While the members were all looking at one another, doubtful who would speak first, Mr. Pym arose and set forth all that the King had done unlawfully during the past twelve years, and what was the position to which England was reduced. This great example encouraged other members, and they spoke the truth freely, though with great patience and moderation. The King, a little frightened, sent to say that if they would grant him a certain sum on certain terms, no more Ship Money would be raised. They debated the matter for two days, and then, as they would not give him all he asked without promise or inquiry, he dissolved them. But they knew very well that he must have a Parliament now. The King knew it too. So, on the twenty-fourth of September, being then at York with an army collected against the Scottish people, the King told the great council of the Lords, whom he had called to meet him there, that he would summon another Parliament to assemble on the third of November. The soldiers of the Covenant had now forced their way into England and had taken possession of the northern counties, where the coals are got. As it would never do to be without coals, and as the King’s toops could make no head against the Covenanters so full of gloomy zeal, a truce was made, and a treaty with Scotland was taken into consideration. Meanwhile the northern counties paid the Covenanters to leave the coals alone, and keep quiet. The Long Parliament assembled on the third of November, 1641. That day the Earl of Strafford arrived from York, very sensible that the men who formed that Parliament were no friends towards him, as he had always opposed himself to their liberties. The King told him, for his comfort, that the Parliament “should not hurt one hair of his head.” But, on the very next day Mr. Pym, in the House of Commons, and with great solemnity, impeached the Earl of Strafford as a traitor. He was immediately taken into custody and fell from his proud height. Only on the twenty-second of March, 1642, he was brought to trial in Westminster Hall. He tried to defend himself, but on the thirteenth day of the trial, Pym produced in the House of Commons a copy of some notes, in which Strafford had distinctly told the King that he was free from all rules and obligations of government, and might do with his people whatever he liked, as he had an army in Ireland to reduce the kingdom to obedience. It was not clear whether by the words “the kingdom” he had really meant England or Scotland. But the Parliament decided that he meant England, and this was treason. At the same sitting of the House of Commons it was resolved to bring in a bill of attainder declaring the treason to have been committed. So, a bill was brought in at once, was carried through the House of Commons by a large majority, and was sent up to the House of Lords. While it was still uncertain whether the House of Lords would pass it and the King consent to it, Pym disclosed to the House of Commons that the King and Queen had both been plotting with the officers of the army to bring up the soldiers and control the Parliament, and also to introduce two hundred soldiers into the Tower of London to effect the Earl’s escape. The King had actually given his warrant for the admission of the two hundred men into the Tower, and they would have got in too, but the governor refused to admit them. These matters were made public, and great numbers of people began to riot outside the Houses of Parliament, and to cry out for the execution of the Earl of Strafford. The bill passed the House of Lords while the people were in this state of agitation, and was laid before the King for his assent, together with another bill declaring that the Parliament then assembled should not be dissolved or adjourned without their own consent. The King was in some doubt what to do; but he gave his consent to both bills, although he in his heart believed that the bill against the Earl of Strafford was unlawful and unjust. The Earl had written to him, telling him that he was willing to die for his sake. But he had not expected that his royal master would take him at his word so readily; for, when he heard his doom, he laid his hand upon his heart, and said, “Put not your trust in Princes!” On the twelfth of May he was beheaded on Tower Hill, having been blessed by Archbishop Laud, who was also confined in the Tower. The Parliament accompanied this bold and daring act by other famous measures, all originating in the King’s having abused his power. The name of Delinquents was applied to all those who had been concerned in raising money from the people in an unlawful manner. Laud was impeached, and a bill was passed declaring that a Parliament should be called every third year, and that if the King and the King’s officers did not call it, the people should summon it. The country was wildly excited, and the Parliament took advantage of this excitement. The King continued to plot with the officers, as he had done before, and signed their petition against the Parliamentary leaders. When the Scottish army was disbanded, he went to Edinburgh in four days — which was going very fast at that time — to plot again. Some suppose that he wanted to gain over the Scottish Parliament, as he did in fact gain over, by presents and favours, many Scottish lords and men of power. Some think that he went to get proofs against the Parliamentary leaders in England of their having treasonably invited the Scottish people to come and help them. But he did little good by going to Scotland. It is not absolutely proved that the King plotted in Ireland too, but it is very probable that he did, and that the Queen did, and that they had some hope of gaining the Irish people over to their side by favouring a rise among them. Whether or no, they did rise in a most brutal and savage rebellion, encouraged by their priests. They committed great atrocities upon numbers of the English, of both sexes and of all ages. Many Protestants were murdered in this outbreak. The King came home from Scotland, determined to make a great struggle for his lost power. He believed that, through his presents and favours, Scotland would take no part against him; and the Lord Mayor of London received him with such a magnificent dinner that he thought he must have become popular again in England. But soon the King found himself mistaken. Pym, Hampden and some other members of the Parliament put forward a celebrated paper called “The Remonstrance”, which set forth all the illegal acts that the King had ever done, but politely laid the blame of them on his bad advisers. Taken no warning from this, the King still thought himself strong enough.- On the third of January, 1642, he took the rashest step that ever was taken by mortal man, having sent the Attorney-General to the House of Lords, to accuse of treason certain members of Parliament, Lord Kimbolton, Sir Arthur Haselrig, Denzil Hollis and John Pym, who as popular leaders were the most obnoxious to him. The King also ordered to enter their houses and seal up their papers. At the same time, he sent a messenger to the House of Commons demanding to have the five gentlemen who were members of that House immediately produced. But the House answered that there was no legal charge against them, and refused to obey the King. Next day the House of Commons sent into the City to let the Lord Mayor know that their privileges are invaded by the King. At the same time the King came to Parliament, with all his guard and from two to three hundred gentlemen and soldiers. He left the soldiers in the hall, and then, with his nephew at his side, went into the House, took off his hat, and walked up to the Speaker’s chair. The Speaker left it, and stood silent. Then the King said he had come for those five members, and called John Pym by name. Nobody answered him, and then he called Denzil Hollis by name. There was silence again, and then he asked the Speaker of the House where those five members were. The Speaker was at a loss, as he knew that those gentlemen had gone away. At last he said that he was the servant of that House, and that he had neither eyes to see, nor tongue to speak, anything but what the House commanded him. The King was enraged with his bold answer and replied that he would seek them himself, for they had committed treason, and after that he went away. When the King’s plan was known, the five members had gone for safety to a house in Coleman-street, in the City, where they were guarded all night; and indeed the whole city watched in arms like an army. The King was frightened at what he had done, and for his own safety he left the royal palace at Whitehall, and went away with his Queen and children to Hampton Court. It was the eleventh of May, when the five members were carried in triumph to Westminster. Londoners came into the streets to greet them. Mr. Pym informed the House of Commons of the great kindness with which they had been received in the City. Then the House called the sheriffs in and thanked them, and requested them to guard the House of Commons every day. Then, four thousand Buckinghamshire men came on horseback, offering their services as a guard too, and bearing a petition to the King, complaining of the injury that had been done to Mr. Hampden, who was much beloved and honoured in their county. Digby came to them from the King at Hampton Court to inform them that the King accepted their protection. This, the Parliament said, was making war against the kingdom, and Lord Digby fled abroad. The Parliament then immediately got hold of the military power of the country, well knowing that the King was already trying hard to use it against them, and that he had secretly sent the Earl of Newcastle to Hull, to secure a valuable magazine of arms and gunpowder that was there. In those times, every county had its own magazines of arms and powder, for its own militia; so, the Parliament brought in a bill claiming the right (which up to this time had belonged to the King) of appointing the Lord Lieutenants of counties, who commanded these trainbands. 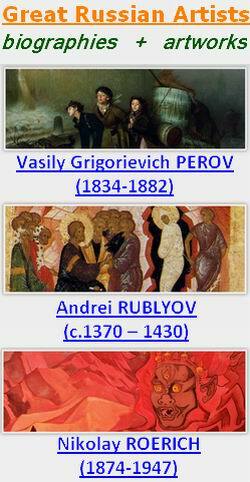 These commanders were also to have all the forts, castles, and garrisons in the kingdom, in their hands. Naturally, all persons appointed had the confidence of the Parliament. The Parliament also passed a law depriving the Bishops of their votes. The King gave his assent to that bill, but would not abandon the right of appointing the Lord Lieutenants. When the Earl of Pembroke asked him whether he would not give way on that question for a time, he said, “By God! not for one hour!” and upon this he and the Parliament went to war. The King’s young daughter was betrothed to the Prince of Orange. On pretence of taking her to the country of her future husband, the Queen was already got safely away to Holland, where she was raising an army on the King’s side. The Lord Admiral being sick, the House of Commons now named the Earl of Warwick to hold his place for a year. The King named another gentleman; the House of Commons took its own way, and the Earl of Warwick became Lord Admiral without the King’s consent. The Parliament sent orders down to Hull to have that magazine removed to London. The King went down to Hull to take it himself. The citizens would not admit him into the town, and the governor would not admit him into the castle. The Parliament resolved that they would issue laws themselves without the King’s consent. These laws were called Ordinances. The King protested against this, and gave notice that these ordinances were not to be obeyed. The King, accompanied by the majority of the House of Lords, and by many members of the House of Commons, established himself at York. The Chancellor went to him with the Great Seal, and the Parliament made a new Great Seal. The Queen sent over a ship full of arms and ammunition, and the King commanded to borrow money at high interest. The Parliament raised his own army, and the people willingly aided them with their money, jewellery, and trinkets — the married women even with their wedding-rings. Every member of Parliament who could raise a troop or a regiment in his own part of the country, dressed it according to his taste and in his own colours, and commanded it. Oliver Cromwell raised a troop of horse, and his men were, perhaps, the best soldiers that ever were seen. In some of their proceedings, this famous Parliament violtated the laws of the land, but the King had been doing that for twelve years. Englishmen should once more be fighting against Englishmen on English ground. But it is some consolation to know that on both sides there was great humanity, forbearance, and honour. The soldiers of the Parliament were far more remarkable for these good qualities than the soldiers of the King (many of whom fought for mere pay without much caring for the cause), but those of the nobility and gentry who were on the King’s side were so brave, and so faithful to him, that their conduct cannot but command our highest admiration. The King might have distinguished some of these gallant spirits by giving them the command of his army. Instead of that, however, true to his old high notions of royalty, he entrusted it to his two nephews, Prince Rupert and Prince Maurice, who were of royal blood and came over from abroad to help him. These were great fighters, but bad generals. The general-in-chief of the Parliamentary army was the Earl of Essex, a gentleman of honour and an excellent soldier. A little while before the war broke out, there had been some rioting at Westminster between certain odious law students and noisy soldiers, and the shopkeepers and their apprentices, and the general people in the streets. At that time the King’s friends called the crowd Roundheads, because the apprentices wore short hair. The crowd, in return, called their opponents Cavaliers. These two words now began to be used to distinguish the two sides in the civil war. The war broke out in 1642. The fust battle took place at Edgehill on October, 23. The Royalist cavalry had the best of the fighting but there was no clear winner. After that battle, the King marched on London. But London, like most of the great and busy cities, was against the King. When it was considered necessary to fortify London, all ranks of people, from labouring men and women, up to lords and ladies, worked hard together. So the King had to give up his plan to capture his capital, and retreated to Oxford. There were local battles in many parts of the country. At first the Royalists did better. In 1643 they besieged and captured the important port of Bristol, and they controlled most of the north and west of England. But they still did not get near London. Then, in 1644, a Scottish army joined in on Parliament’s side. That summer the King’s main army was badly beaten at Marston Moor. Oliver Cromwell’s cavalry, the Ironsides, and the Scottish infantry won that battle for Parliament. But the King was not yet defeated. So the Parliament appointed new efficient commanders and reorganized the army. The New Model Army was created to finish the war. In 1645, at Naseby, it was victorious. Eleven months passed, and Charles I had to surrender to the Scots at Newark. 4 Зак. № 376 hold of Charles I, they started to discuss treaties of peace between the two parties. Unfortunately, they came to nothing. In all these negotiations, and in all his difficulties, the King showed himself at his best. He was courageous, cool, self-possessed, and clever; but he was never for one single moment to be trusted. Some of the historians suppose that he had unhappily promised the Queen never to make peace without her consent, and that this must often be taken as his excuse. However, discussing peace treaty with the Parliament, the King started plotting against it. He tried to enter into a secret treaty with the Duke of Lorraine for a foreign army of ten thousand men. After that plan had failed, he sent his friend, the Earl of Glamorgan, to Ireland, to conclude a secret treaty with the Catholic powers, to send him an Irish army of ten thousand men. And, when this treaty was discovered, the King denied his part in that business, and even deserted his friend, the Earl. At last, the King felt that if he would like to escape he must delay no longer. So, having altered the cut of his hair and beard, he dressed up like a servant and rode unknown to the Scottish camp. The Scottish men had been invited over to help the Parliamentary army, and had a large force then in England. So it is doubtful what he exactly meant by this step. HeJtpok it, anyhow, and delivered himself up to the Earl of Leven, the Scottish general-in-chief, who treated him as an honourable prisoner. Negotiations between the Parliament on the one hand and the Scottish authorities on the other, as to what should be done with him, lasted until the following February. Then the King was taken to one of his own houses, called Holmby House, in Northamptonshire. While the Civil War was still in progress, John Pym died, and was buried with great honour in Westminster Abbey — not with greater honour than he deserved, for the liberties of Englishmen owe a mighty debt to Pym and Hampden. The war was nearly over when the Earl of Essex died. He, too, was buried in Westminster Abbey. When the Parliament had got the King into their hands, they became very anxious to get rid of their army, in which Oliver Cromwell had already got great power, as he was a brave man and professed to be very sincere in the Scottish sort of Puritan religion that was then very popular among the soldiers. They were as much opposed to the Bishops as to the Pope himself. The Parliament could not be sure in such an army, and proposed to disband the greater part of it, and to send another part to serve in Ireland against the rebels, and to keep only a small force in England. But the army did not want to be broken up, and it started to act unexpectedly. A certain cornet Joice arrived at Holmby House one night, attended by four hundred horsemen, went into the King’s room with his hat in one hand and a pistol in the other, and told the King that he had come to take him away. When the King asked the cornet what authority he had for taking him away, Joice replied, “The authority of the army.” “Have you a written commission?” said the King. Joice, pointing to his four hundred men on horseback, replied, “That is my commission.” “ Well,” said the King smiling as if he were pleased, “I have never read such a commission before.” He was asked where he would like to live, and he said at Newmarket. So, to Newmarket they rode. The King believed the army to be his friends. He said so to general Fairfax, Oliver Cromwell, and his son-in-law Ireton, who came to persuade him to return to the custody of the Parliament. He preferred to remain as he was. And when the army moved nearer and nearer London to frighten the Parliament into yielding to their demands, they took the King with them. They treated him more respectfully and kindly than the Parliament had done. The Parliament had only allowed him to ride out and play at bowls. The army allowed him to be attended by his own servants, to be entertained at various houses, and to see his children for two days. Even Oliver Cromwell was friendly towards the King then. Cromwell had been present when the King received his children, and had been much affected by the scene. He saw the King often, he frequently walked and talked with him in the long galleries and pleasant gardens of the Palace at Hampton Court, where he was brought to. And in all this Cromwell risked something of his influence with the army. But the King was in secret hopes of help from the Scottish people; and the moment he was encouraged to join them he began to be cool to his new friends, the army. At the very time when he was promising to make Cromwell and Ireton noblemen, if they would help him up to his old height, he was writing to the Queen that he meant to hang them. Having known about that letter, Cromwell learned that the King could not be trusted. Still, even after that, he let the King know that there was a plot with a certain portion of the army to seize him. He might sincerely wanted the King to escape abroad, and to get rid of him without more trouble. So the King escaped from Hampton Court and went to the Isle of Wight. There he waited for the news from Scotland. But the army raised in that country turned out to be too small. Although it was helped by a rising of the Royalists in England and by good soldiers from Ireland, it could make no head against the Parliamentary army under such men as Cromwell and Fairfax. The King’s eldest son, the Prince of Wales, came over from Holland with nineteen ships to help his father; but nothing came of his voyage, and he had to return to Holland. The most remarkable event of this second civil war was the cruel execution by the Parliamentary General, of Sir Charles Lucas and Sir George Lisle, two grand Royalist generals, who had bravely defended Colchester for nearly three months. The Parliament, after being fearfully bullied by the army — who demanded to have seven members whom they disliked given up to them — had voted that they would have nothing more to do with the King. On the conclusion, however, of this second civil war (which did not last more than six months), they appointed commissioners to treat with him. The King, who lived in a private house at Newport in the Isle of Wight, managed his own part of the negotiation with a sense that was admired by all who saw him, and gave up, in the end, all that was asked of him. Still, when his best friends joined the commissioners in beseeching him to yield all those points as the only means of saving himself from the army, he was plotting to escape from the island. Meanwhile the army, resolved to defy the Parliament, marched up to London. The Parliament was no more afraid of them, and voted that the King’s concessions were sufficient ground for settling the peace in the kingdom. Upon that, Colonel Rich and Colonel Pride came to the House of Commons with their regiments, and took some of the members into custody. Cromwell was in the North, at the head of his men, at the time, but when he came home, he approved of what had been done. Having imprisoned some members, the army reduced the House of Commons to some fifty or so. These soon voted that it was treason in a king to make war against his parliament and his people, and sent an ordinance up to the House of Lords for the King’s being tried as a traitor. The House of Lords, then sixteen in number, rejected it unanimously. Then the Commons proclaimed themselves the supreme government of the country, and brought the King to trial. The King had been taken for security to a place called Hurst Castle: a lonely house on a rock in the sea, connected with the coast of Hampshire by a rough road two miles long at low water. Then he was removed to Windsor. At last, when the day of his trial was appointed, he was brought up to St. James’s Palace in London. His trial began on Saturday, the twentieth of January, 1649. The House of Commons had settled that one hundred and thirty-five persons should form the Court, and these were taken from the House itself, from among the officers of the army, and from among the lawyers and citizens. John Bradshaw was appointed president. The place was Westminster Hall. At the upper end, in a red velvet chair, the president sat. The rest of the Court sat on side benches. They were all wearing their hats. The King’s seat was covered with velvet, like that of the president, and was opposite to it. When Charles I came in, he looked round very steadily on the Court, and on the great number of spectators, and then sat down. At the very beginning of the trial the King denied the authority of the Court, saying that there could be no parliament without a House of Lords, and that he saw no House of Lords there. Also, that the King ought to be there, and that he saw no King in the King’s right place. Bradshaw replied, that the Court was satisfied with its authority, and that its authority was God’s authority and the kingdom’s. He then adjourned the Court to the following Monday. On that day, the trial was resumed, and went on all the week. When the Saturday came, as the King passed forward to his place in the Hall, some soldiers and others cried for “justice!” and execution on him. That day Bradshaw wore a red robe, instead of the black one he had worn before. The King was sentenced to death that day. As he went out, one solitary soldier said, “God bless you, Sir!” For this, his officer struck him. Having been brought to Whitehall, the King sent to the House of Commons, saying that he wished he might be allowed to see his darling children before the execution. It was granted. On Monday he was taken back to St. James’s, and his two children then in England, the Princess Elizabeth thirteen years old, and the Duke of Gloucester nine years old, were brought to take leave of him. It was a sad and touching scene, when he kissed his poor children, and gave them tender messages to their mother, and told them that he died “for the laws and liberties of the land”. Wales, by a letter in which he offered as the next heir to the throne, to accept any conditions from the Parliament; so did the Queen. But their efforts were lost, and the warrant for the execution was signed that very day. On the thirtieth of January, Charles I rose two hours before day, and dressed himself carefully. He seemed to be very calm and untroubled by the knowledge that it was his last morning on earth. He put on two shirts not to tremble with the cold, and had his hair very carefully combed. At ten o’clock he was told it was time to go to Whitehall. When the King came to Whitehall, he was taken to his own bedroom, where he was to have his last breakfast. But he would eat nothing, as he had taken the Sacrament; but, at about the time when the church bells struck twelve at noon (for he had to wait till the scaffold was ready), he took the advice of the good Bishop Juxton who was with him, and ate a little bread and drank a glass of wine. Soon after he had taken this refreshment, Colonel Hacker came to the chamber with the warrant in his hand, and called for Charles Stuart. And then, through the long gallery of Whitehall Palace, which he had often seen light and gay and merry and crowded, in very different times, the fallen King passed along, until he came to the centre window of the Banqueting House, through which he emerged upon the scaffold, which was covered with black. He looked at the two executioners, who were dressed in black and masked; he looked at the troops of soldiers on horseback and on foot, and all looked up at him in silence; he looked at numerous spectators gazing upon ton; he looked at his old Palace of St. James’s; and he looked at the block. He seemed a little troubled to find that it was so low, and asked if there were no place higher. He was not at all afraid to die. He put his hair up, under a white satin cap which the bishop had carried, and said, ”I have a good cause and a gracious God on my side.” The bishop told him that he had but one stage more to travel in this weary world, and that, though it was a turbulent and troublesome stage, it was a short one. Then the King kneeled down, laid his head on the block, and was instantly killed. One universal groan broke from the crowd; and the soldiers, who had sat on their horses and stood immovable as statues, were of a sudden all in motion, clearing the streets. Thus, in the forty-ninth year of his age, Charles the First perished.